Enjoy the park and its challenging terrain at ease in the company of an experienced guide. We specialize in enjoyable day hikes in Olympic National Park. 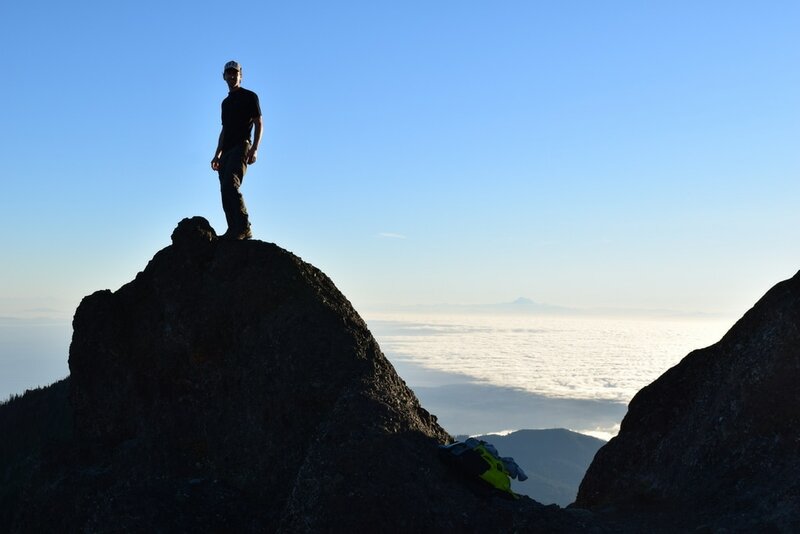 We offer day trips up Mount Angeles, Heather Park Peaks and the Mt Storm King Trail. These challenging objectives present wonderful team building opportunities; leaving clients with lasting feelings of accomplishment. We are happy to guide you and/or your group or family on a day hike up any trail or day-hikable peak in the Park from easy to extremely strenuous day trips. In order to maximize your experience while respecting other visitors' experience we limit our group sizes according to wilderness regulations - 6 people total including guides. Contact us now to create your next memorable adventure. Please contact us for dates and availability. A qualified and insured guide. Maximum 3:1 Client to Guide Ratio. Secure parking in downtown Port Angeles, WA. Park entrance fees and tax are not included in your reservation cost. ​Entrance fees collected by the Park provide additional funding for infrastructure and maintenance needs that enhance the visitor experience. Effective June 1, 2018 the park entrance fee is $30 per vehicle. Pre-trip phone consultation with your guide. Personalized gear list and food recommendations specific to your adventure. Erin B Reading, former Olympic National Park Ranger. Learn about Olympic National Park from the unique perspective of a former caretaker. Improve your Leave No Trace, hiking and navigation skills. 50% deposit due at time of reservation, 25% of which is a non-refundable registration fee. Trips must be paid in full within 14 days of departure date. Trips cancelled greater than 14 days from departure are refundable minus the 25% registration fee. Trips cancelled within 14 days of departure are non-refundable. Reserve your spot now by contacting us.